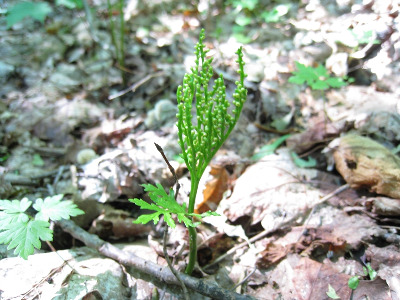 Forests in acidic, usually sandy, soils; less commonly in fields and on shores. 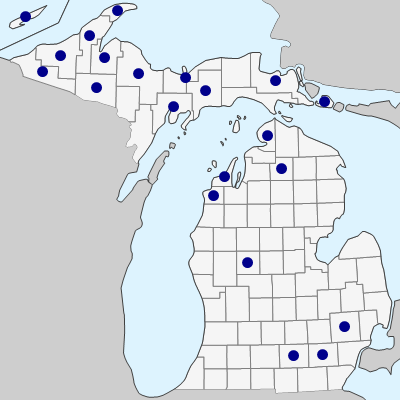 Very local in occurrence, except in the western Upper Peninsula. This species matures late; sporangia do not turn yellow until mid-July and plants persist until fall. MICHIGAN FLORA ONLINE. A. A. Reznicek, E. G. Voss, & B. S. Walters. February 2011. University of Michigan. Web. April 21, 2019. https://michiganflora.net/species.aspx?id=1779.